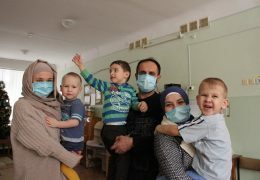 On January 21, the All-Ukrainian Muslim Women Association visited specialized children`s home in the city of Belaya Tserkov. This is the second visit to children of this institution. 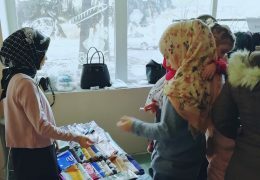 Sisters from Odessa branch of All-Ukrainian Muslim Women Association held a charity fair of Halal products. 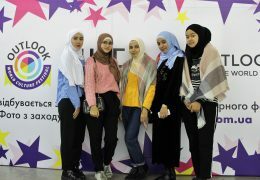 On October 27, the Fifth OUTLOOK World Culture Festival 2018 was held in the Mystetskyi Arsenal, where embassies and diasporas of more than 35 countries took part. 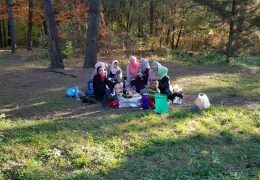 On October 17, activists of Kharkiv UMWA branch gathered to spend time in nature, analyze the work done during the quarter and form a development plan for the year. 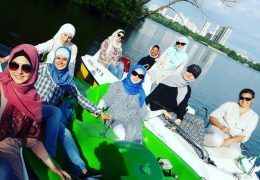 A Knowledgeable Muslim Woman Is a Guarantee Of Prosperous Community. 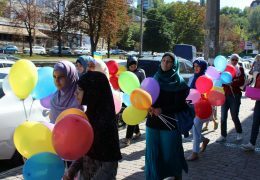 On August 22, activists of Ukrainian Muslim Women Association held actions for the holiday of Kurban Bayram in Kiev, Kharkov, Poltava, Kremenchug and several other cities. 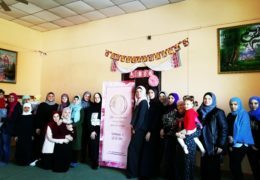 The Ukrainian Muslim Women Association besides being a regular organizer of educational lectures, conferences and a representative of Muslim women in state and non-state institutions, is also a friendly team of sisters. 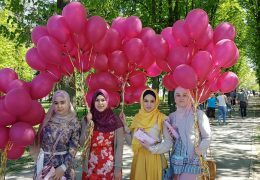 On the occasion of the beginning of the month of Ramadan, UMWA activists held flash mob on main streets of cities of Kiev, Kharkov, and Kremenchug on May 17. 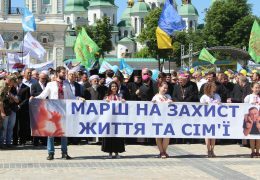 More than 10 thousand people passed through the central streets of Kiev to testify that Ukraine supports traditional family values and calls on the authorities to reconsider the family policy of the state. 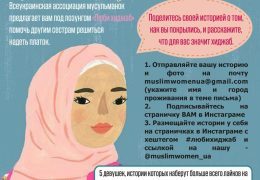 On May 1, activists of the All-Ukrainian Association of Muslim Women held a rally in Kharkiv, which was held in Gorky Park. 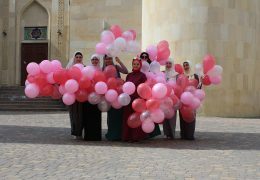 The girls handed out balloons to children and answered passers-by questions about the hijab and Islam. 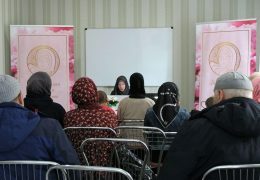 Ukrainian Muslim Women Association organized a lecture “Woman in Islam. 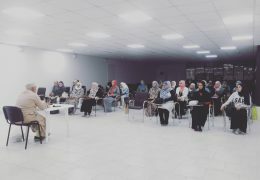 Knowledge” for sisters in Sumy community on April 1. 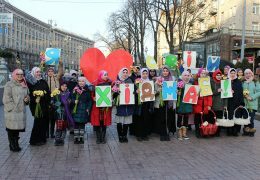 “I love my hijab”, this is a message that UMWA activists came with to the main street of the country on February 1st, World Hijab Day. Women gifted flowers and motivating magnets to people on streets.